Light intruding into neighbouring homes and properties keep people awake at night, destroying any sense of privacy, and increasing anxiety. Hence, complaints against 'security' floodlights have rocketed - complaints increased by 44% between 1993-1996, and over half are caused by home 'security' floodlights (55%; with 21% of complaints caused by sports lighting). It has been medically proven that denying people a good night's sleep can result in various medical problems. Often, sufferers are simply told to buy thicker curtains to block out the light pollution - but this also blocks out the morning Sun, making it harder for an individual to wake naturally. Such disruption to natural sleep patterns can be caused by either shining light constantly into people's homes, or by 'security' flood-lights coming on and waking people. 13.94 Local authorities already have the means to deal with nuisance street lighting and are accountable to those within their areas. Local authorities should do their best to ensure that streetlights under their control do not cause problems to the local community. The Government expects local authorities to take reasonable steps to investigate and, where appropriate, resolve problems from streetlights as a matter of good practice and consideration for the local environment and the community to whom they are accountable. 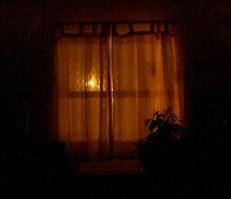 So please, make sure your business or home lighting does not shine into neighbours' homes.